A stress free outcome for all our clients. 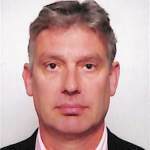 Rupert started his career in real estate back in 1988 after having served in the British Army. Working for the well-established property company Hamptons International Rupert applied his trade in some of the top areas of London including Hampstead, Richmond and Wimbledon. 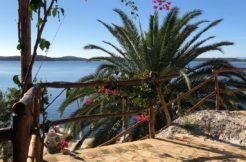 He gained a wealth of experience working for Hamptons throughout his 15 years of real estate in the UK before coming to Hvar with his valuable knowledge, to set up Balustrade Estates. Rupert works closely with each individual listening to their needs, whether it is buying or selling a property, or wanting to engage Balustrade Estates in project management. 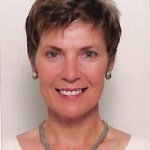 Katia first visited the UK in 1983 as an au-pair for work experience but quickly moved on doing a variety of jobs until she found her forte also in the property business. Working in North London, Katia was hugely successful in the corporate letting business, dealing with international companies, and many individual celebrities. After 20 years away from her native country, Katia felt the time was right to embark on a new adventure and return to her roots. Together Katia and Rupert set up Balustrade Estates business, founded on the principles of integrity and transparency with the aim to achieve a positive, stress-free outcome for all their clients. Marija Barbarić is a local through and through, she ran her own clothing business for a number of years prior to her full-time job, running her family. 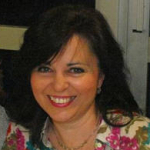 In more recent times Marija was a very familiar face working in the tourist office and nine years ago she joined the team at Balustrade Estates. Marija has a great rapport with clients, speaking German and Italian fluently, as well as English, there isn’t much that phases Marija! She does a great job in keeping the office ticking over and is a highly valued member of the trio that makes up Balustrade Estates. 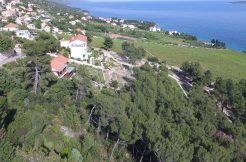 A spectacular detached house in Hvar town for sale with sea views and direct sea access from garden.